Scarytober begins with the latest episode of Critically Acclaimed! 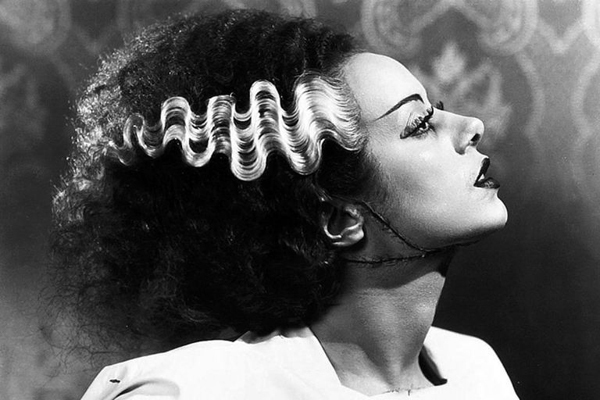 This week we're reviewing all of the original, classic Universal Frankenstein movies, including the ones everyone love and the ones nobody watches anymore. Are they still horror classics, and what do they have to teach us about the way movies work now? Plus, we've got reviews of the new releases "Hell Fest," "The Old Man & the Gun," "Monsters and Men" and "All About Nina!" Joining us this week is special guest M. Lopes da Silva, a writer and illustrator whose latest short story, "Seams," appears the new book "NightScript: Volume IV." You can also find her work in "Glass and Gardens: A Solarpunk Anthology," "The Dog Next Door and Other Disturbances," and many other fine publications! Email us at letters@criticallyacclaimed.net and follow your hosts on Twitter at @WilliamBibbiani and @WitneySeibold! And make sure you follow our guest M. Lopes da Silva on Twitter and Instagram at @SpasticSnap! Nice article and I would like to share it with https://nexter.org/ team so that they get an idea. Thanks for sharing this type of post for readers. Critically Acclaimed: Bonus Letters Episode #3!